There is one persons style who I could loose myself in for hours. I love having half an hour to disappear off into my own little world and just scroll through the internet of this lovely ladies amazing world of fashion! 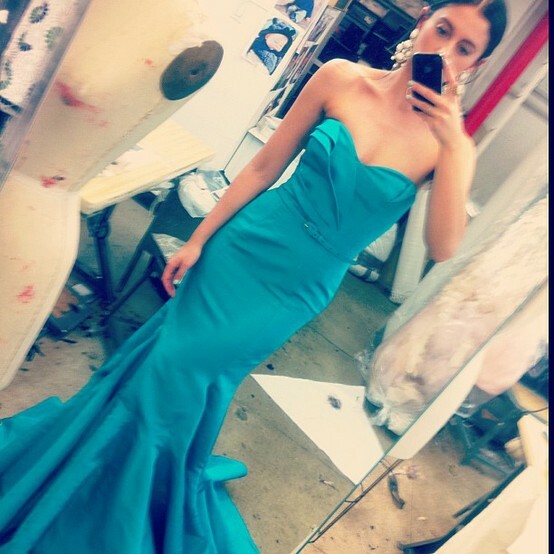 Erika Bearman, has made a name for herself in the world of fashion and social media, you may also know of her as 'OscarPRGirl'. As well as working full time as the Director of Communications for Oscar de la Renta, she also shares behind the scene photos and outfits she loves to wear by Oscar de la Renta himself. By typing her name into a search engine (Erika Bearman and/or OscarPRGirl), you will find many photos that Erika has taken of herself, of others; catwalk shows, events, behind the scenes and sneak peeks. Magazines and websites have run features on her, there is lots to find and gaze over. These are a few of the images that I have pinned and really do love, she has a great style that I really admire and every day she is always doing something new and exciting, even if it is sharing her outfit for the day. You can find these images and so many more at Erika's Instagram and Tumblr.